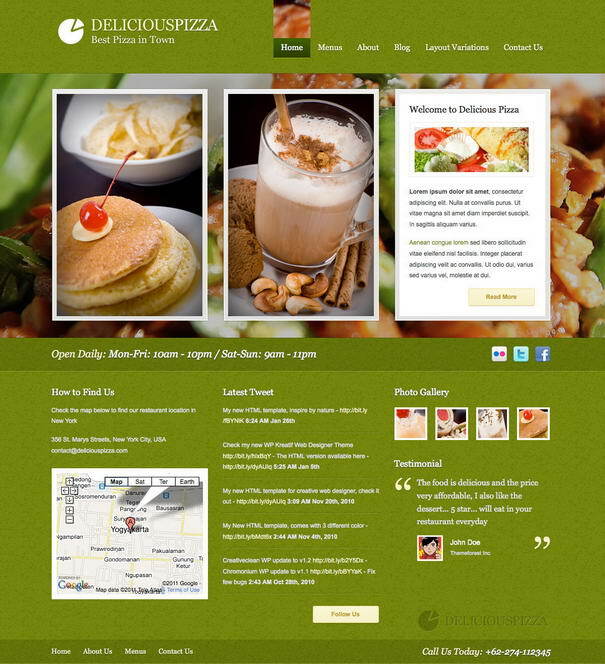 In today’s world of modern business, there are countless restaurants and cafes that have elegant websites. 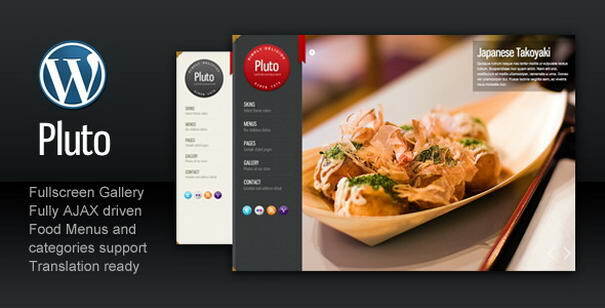 It is important for any restaurant to have a website to promote their menus and demonstrate value and purpose of their business. Many restaurant owners might think that creating a beautiful website could cost thousands of dollars, but the fact is you can have a quality website even under 100 usd. 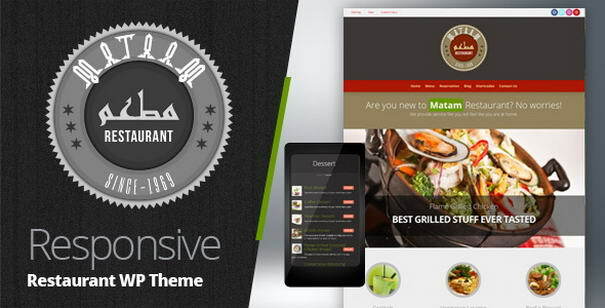 There are more than thousands of premium restaurant WordPress themes you can find online that allow users to create impressive websites for their business. 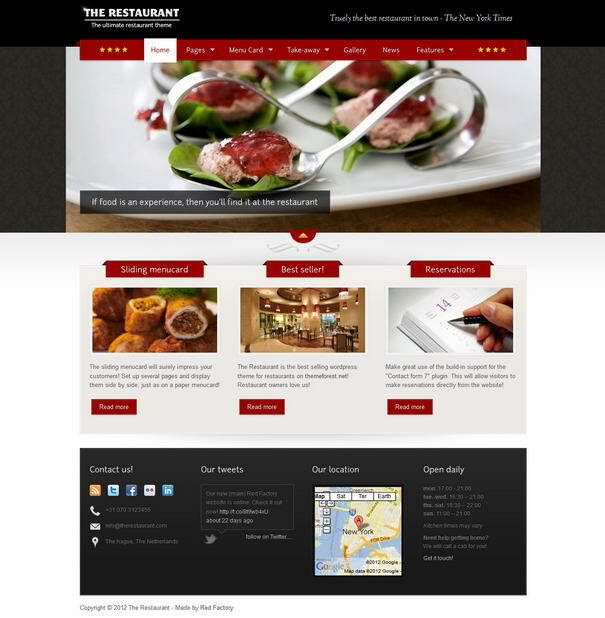 A quality restaurant needs a stylish and creative website. 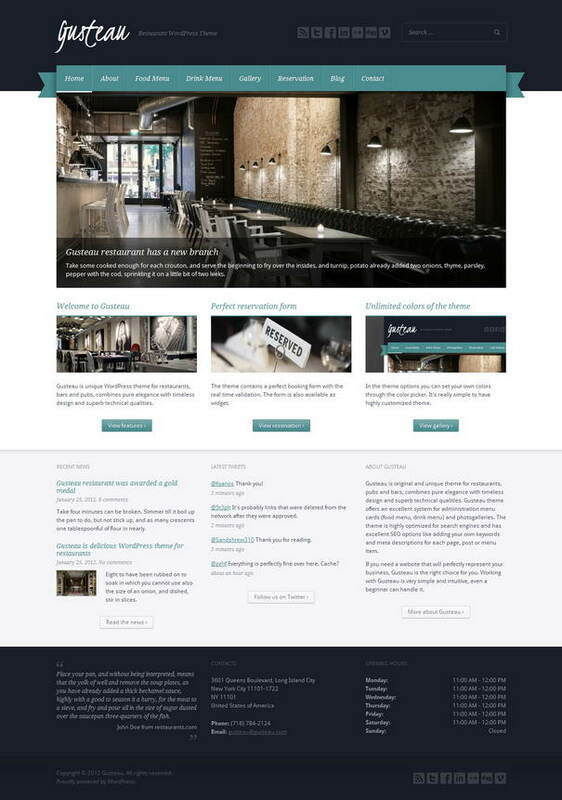 Nowadays, wordpress restaurant themes become more popular and there are many café and restaurant owners who are creating websites impressive, with help from powerful wordpress CMS system. 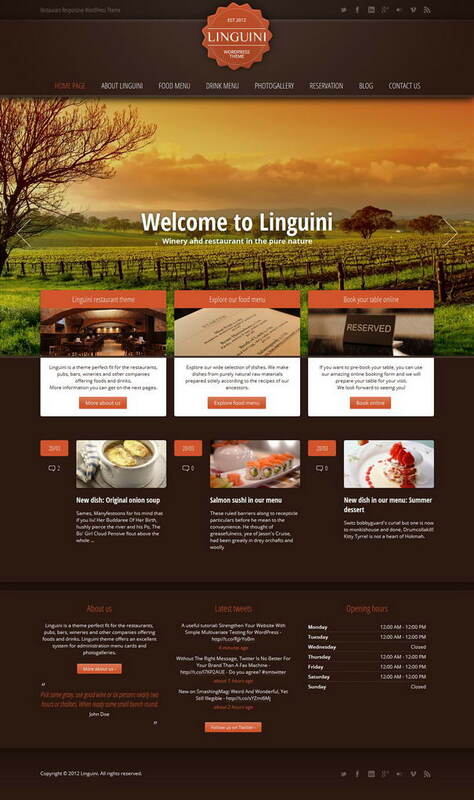 In case you have a good restaurant or a cafe business and haven’t created a website yet, then you are missing out a lot of the customers. WordPress is the best platform to start creating your website with thousands of quality themes. 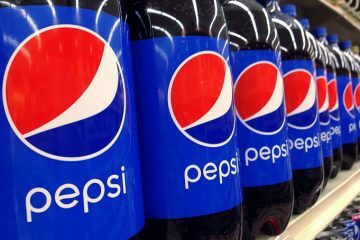 Having an online presence would also save your time and money than would have been impossible if you had adopted the conventional ways of advertising your products. 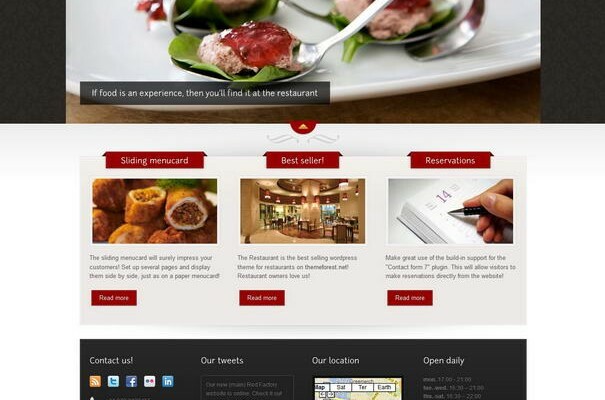 Check out 10 Most Elegant WordPress Restaurant Themes. 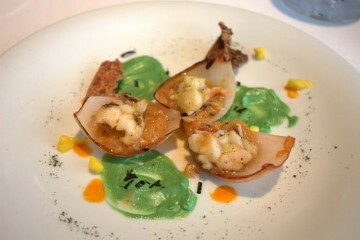 Just follow the link below each image to see the theme in action and download. 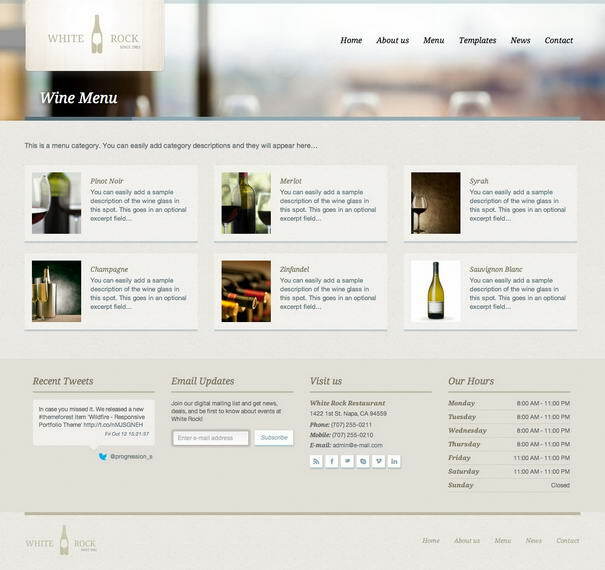 Love this elegant style of WordPress themes. Great themes collection. keep sharing. 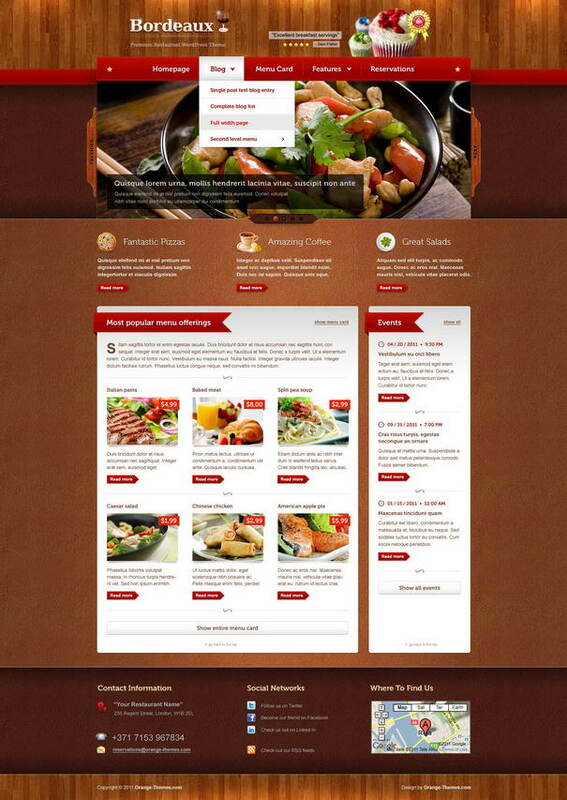 I want to suggest you one cheap and very well designed WordPress theme named FoodFork. It has very good design layouts as well as easy to customized blocks. You can beautifully develop your blog with the help of this theme. 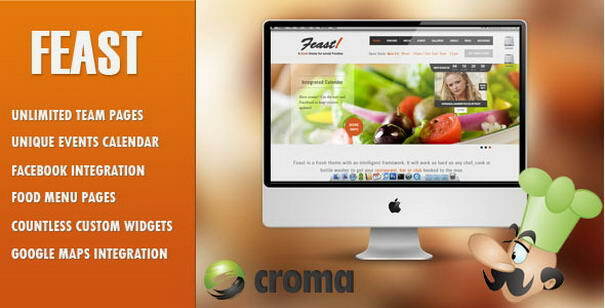 Other great features of this themes are unlimited color schemes, in-built shortcodes, custom widgets, google map integration, food menu, online reservation system etc.